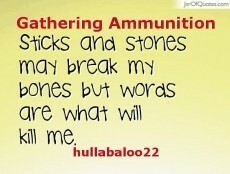 Words can be used like bullets. With a drip, drip, drip. For you to keep on tap. With shame, guilt and remorse. And stay there for the ride. They’ve already done their worst.